Serving a country full of flawed systems slowly eats away at a man. The domino effect of one person’s crime going unpunished burns deeply. Gentry ‘Deacon’ Hawkins is an all-American hero. He went from the star athlete to the elite of the Navy SEALs. When a mission went bad, costing the innocent lives of his team and some civilians, he was forever changed. 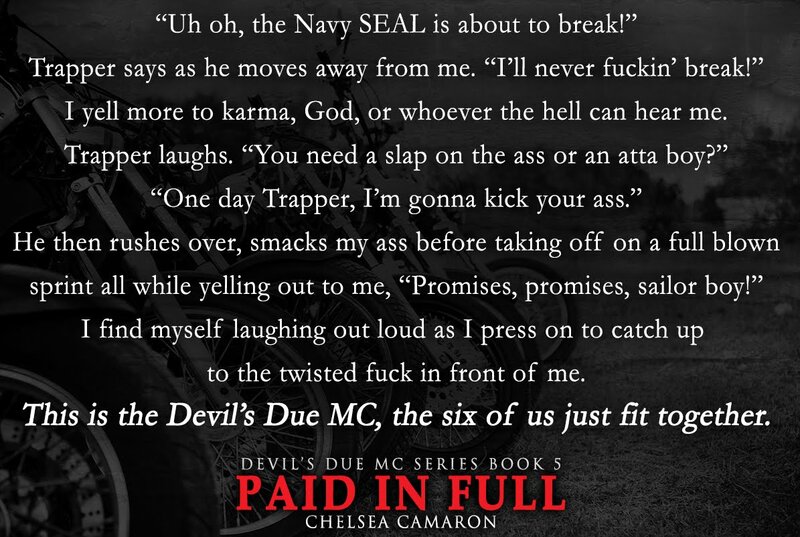 Riding with the Devil’s Due MC is the only peace he has found since getting out of the military. She’s not afraid to call herself a sinner. Tempest Adams spends her every waking moment serving others. She has given her life to provide a safe haven for women and children while they rebuild their lives. At the end of every day she finds both satisfaction in her life and loneliness. However, danger lurks in her world, under her roof. Will Deacon put his anger aside? Can Tempest swallow her pride and ask for help? When everything comes to a head, will Deacon be the hero Tempest needs to save her or will he be too late? Gentry ‘Deacon’ Hawkins was a star athlete in school to one of the elite Navy SEALS. But when one mission went haywire, people on his team and civilians died and he was forever changed. 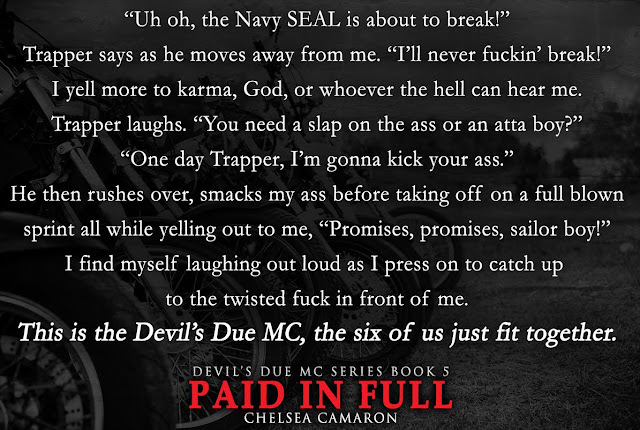 He left the SEALS and started riding with the Devil’s Due MC and he found peace among his ride or die family. 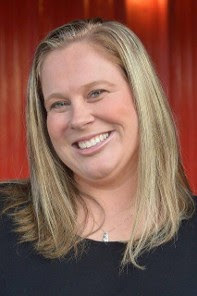 Tempest Adams is a kind and loving women who works hard for women and children who have been subjects to abuse. She is providing a safe haven for for these women and children so they can work on rebuilding their lives after escaping abuse. She finds peace here despite being lonely. Danger is lurking in Tempest world. This could be the one time her safe haven might not be so safe. Tempest and Deacon would hook up when he would ride through town. Something occurs that has Deacon changing his plans. He realizes some things about Tempest and about himself. When Deacon becomes angry can he put this aside to help Tempest? Will Tempest ask for help when she needs it most? Will Deacon be in time to save her or will he be too late? The devil demands his due. I really loved this series and I loved this book. I loved Deacon and Tempest together. Deacon is the strong hero type turned to a motorcycle biker righting the wrongs and ensuring the devil gets a due. There are a lot of twists and turns in this story that kept me on waiting to read what came next. 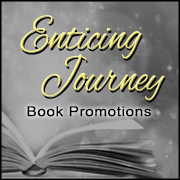 It was a great story and different type of MC biker gang than you normally read about. I loved it and recommend it to anyone who loves a strong rough around the edges guy lead like Deacon will loves this book. One click this one!